Last chance to see Leonardo's Salvatore Mundi before it vanishes again? 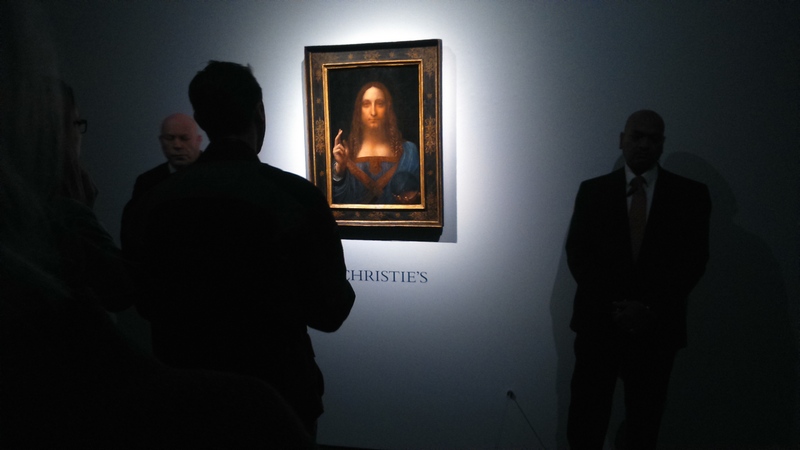 The intense interest in the last Leonardo da Vinci painting known to be in private hands drew crowds from all over Britain to Christie’s London saleroom where it was shown for just four days. As I joined the queue, the consensus seemed to be that it might be the last chance ever to see the work. Leonardo, who ranks as the best known painter in the world thanks to the Mona Lisa, left many sketchbooks, drawings and models but only 20 authenticated paintings, all but one of which are in museums. Salvatore Mundi – which now moves to New York prior to its sale in November – remains the exception and the story behind its rediscovery 69 years ago is fascinating. Experts believe that the painting was done for the French Royal family, and that it may have been brought to England by Queen Henrietta Maria on her marriage to Charles I in 1625. It was owned by the royal family but went missing for 150 years in the late 18th century before surfacing in an American collection in the 20th century. By now it seems the work had taken quite a battering and this perhaps explains how it came to be sold as the work of an assistant, fetching a mere £45 at auction. In 2005 it was acquired, this time for $10,000, by a consortium of dealers including the well known New York gallerists Alexander Parish and Robert Simon. It underwent further examination and was eventually declared to be the real thing. Salvatore Mundi was exhibited at National Gallery in London in 2011 thus establishing its pedigree beyond any doubt. Two years later Swiss art dealer and king of the ‘freeport’ market, Yves Bouvier, bought the work for an estimated $75 million to $80 million. The next chapter of the sale history is more murky. Bouvier quickly sold the work to a Russian oligarch Dmitry Rybolovlev for $127.5 million. Rybolovlev on learning of the huge mark up on this and other works (and in the throes of an expensive divorce) filed a case against Bouvier in Monaco alleging he had overcharged him by $1 billion over 40 sales, including the Leonardo. Personally I doubt that bidding for Salvatore Mundi will stop at the $100million estimate but the name of whoever wins what promises to be a most entertaining battle may never be revealed. if you missed the London showing, there’s only one answer. Jump on a Virgin Atlantic flight and get to New York because there is no saying how much further you might have to travel if the painting goes to the Far East, if indeed it does not disappear for another 150 years into a vault.